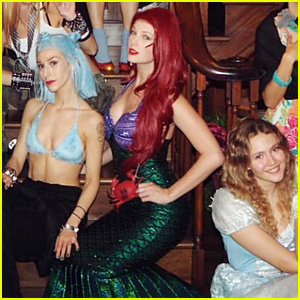 Taylor Swift Dresses as Little Mermaid's Ariel for New Year's Eve Costume Party! John Cena & Leslie Mann Make it Date Night at 'Blockers' Premiere! Leslie Mann & Judd Apatow are Joined by Daughters at 'Blockers' Premiere! Zoe Kazan & Kumail Nanjiani Help Honor Judd Apatow & More at SAG Foundation Awards! Judd Apatow's Daughter Iris Looks All Grown Up at Teen Choice Awards 2017! Zoe Kazan & Kumail Nanjiani Premiere 'The Big Sick' In Hollywood - Watch Official Trailer! 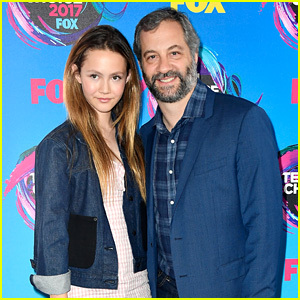 Judd Apatow Brings Daugther Iris To Premiere Of His New HBO Series 'Crashing' - Watch Trailer Here! Judd Apatow's 'The Big Sick' Makes a Big Sale at Sundance! Helen Mirren Supports Her Husband at His AFI Movie Premiere! Leslie Mann is Surrounded By Family & Lots of Cirque Performers For Her Birthday Bash! 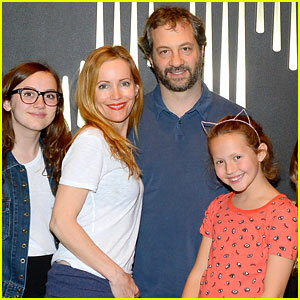 Leslie Mann Supports PaleyFest Icon Award Honoree Judd Apatow!